Breast milk, long revered for the nutritional advantages it gives a newborn, could be just as vital in terms of infant development, a leading scientist will claim this week. Up to three different types of stem cells have been discovered in breast milk, according to revolutionary new research. Dr Mark Cregan, medical director at the Swiss healthcare and baby equipment company Medela, believes the existence of stem cells means breast milk could help a child "fulfil its genetic destiny", with a mother's mammary glands taking over from her placenta to guide infant development once her child is born. 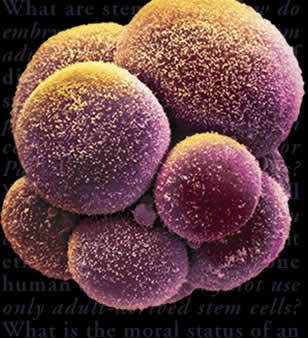 "Breast milk is the only adult tissue where more than one type of stem cell has been discovered. That is very unique and implies a lot about the impressive bioactivity of breast milk and the consequential benefits to the breastfed infant," said Dr Cregan, who is speaking at Unicef's Baby Friendly Initiative conference this week. His research has isolated adult stem cells of epithelial (mammary) and immune origin, with "very preliminary evidence" that breast milk also contains stem cells that promotes the growth of muscle and bone tissue. Scientists will use his discovery, made at the University of Western Australia, in Perth, Australia, to attempt to harvest stem cells from breast milk for research on a range of issues – from why some mothers struggle to produce milk to testing out new drugs that could aid milk production. "There is a plentiful resource of tissue-specific stem cells in breast milk, which are readily available and from a non-invasive and completely ethical source," Dr Cregan said. Advocates hope the discovery will help to lift the UK's breastfeeding rates: only one-third of babies are exclusively breastfed at one week, the number dropping to one-fifth at six weeks. At five months, only 3 per cent of mothers still exclusively nurse their babies – although the World Health Organisation recommends that babies should consume only breast milk until they are at least six months old. Rosie Dodd, campaigns director at the National Childbirth Trust, said: "This finding highlights the many factors that are in breast milk that we know so little about and that all have different advantages, such as helping a baby's immune system to develop." Dr Cregan said the discovery of immune stem cells was the "most exciting development", adding, "It's quite possible that immune cells in breast milk can survive digestion and end up in the infant's circulation. This has been shown to be occurring in animals, and so it would be unsurprising if this was also occurring in human infants." British scientists gave a cautious welcome to Dr Cregan's discovery, warning that just because stem cells exist in breast milk did not mean that they could be used to develop a therapy – the ultimate goal of stem cell research. Chris Mason, professor of regenerative medicine at University College London, said: "It may give us some insight into specific breast diseases and is potentially valuable when it comes to drug discovery and drug development but it is fanciful to think it could provide routine therapies." That is sooo great to hear, I can't wait for further research! It is indeed a good news, more research should go on for the benefits of the breast milk. I can't believe so few UK mothers breastfeed! 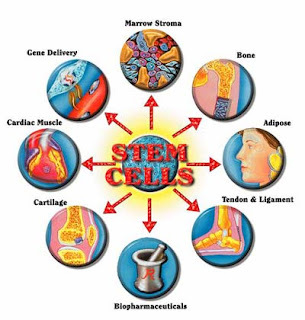 Great news about the stem cells!